Inside the centre is a typical traditional Gikuyu homestead comprising five houses. One house is for the male head of the family, the other three are for his wives, the fourth one is for his son muramati and in the fifth lives the homestead assistant ndungata. The wives houses being the most complex, are each partitioned into seven parts:- the woman’s sleeping place, uriri, a place for storing food thegi, a place where girls sleep kiriri, the uncircumcised boys share their sleeping places with goats in thingira (mans hut). Goats which feed in the fields were kept on the left side of the woman’s bed. At the centre of the house is a cooking place with a traditional hearth of three stones, riuki. A small verandah next to the main entry provides safety for the children in case of emergency such as when a pot falls from the fire. The man’s house thingira faces both his elder son and wive’s houses. Inside his house is the bed which is covered with a goats skin. Facing the entry is a gichegu where goats for mating, fattening and slaughtering are kept. The son’s house does not have partitions until such time that he gets married. Then he would require privacy for his wife and female children. Only at this time he would own such wealth as goats, and sheep. Guarded by warriors, the big mud house boini facing the other houses, and which is open at the front thereby making up a large verandah, is owned by the elder of the homestead for entertaining visitors. Sitting in boini the visitors are entertained by traditional Gikuyu dancers, story tellers and dramatists. Meanwhile they are fed on traditional dishes: irio – maize and vegetable mash, nyama choma – roasted meat, ucuru – porridge and rukuri, a meat of Agikuyu. Other houses at the centre include meat roasting – kirugu house and the guard house itara. At Riuki Cultural Centre the latter is used as traditional theatre, the museum of Agikuyu history and culture, as well as lecture and film hall. You will find it most stimulating and interpreting, and will provide you with a great opportunity to take photographs of your choice and at close quarters without harassment or interference. Gikuyu country with banana plantations and coffee trees untill you reach Riuki Cultural Centre. You will be received by Dr. Kinuthia Njoroge in person, the guide and a host of children. You will be given a brief lecture of Gikuyu rural life and invited to taste the Gikuyu brew, Njohi Muratina, Gikuyu porridge and view the farmers preparations. Gikuyu dancers will entertain you with dances, songs and cleansing ceremonies, while being served with a delicious African Barbeque complete with Gikuyu traditional meat, rukuri, and delicious marinated steak, Agikuyu mash, sukuma wiki-‘push the weekend!’ irio, salads, fruits and more traditional wine. 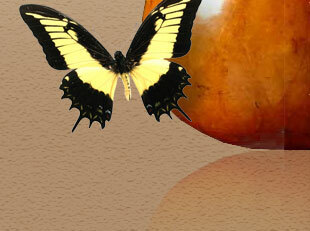 You will leave with the sinking sun, having enjoyed a day full of interesting experiences. The food will be well prepared and with great care by Dr. Njoroge’s two wives, who will be dressed in traditional garb for authenticity. You will be sent away with blessings and goodwill, ‘come back some day’ with a request to tell your friends to visit Riuki Cultural Centre and share a day of Gikuyu customs, meats, dances and music. 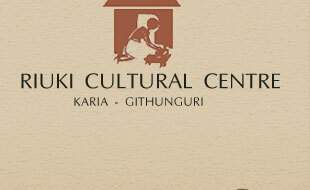 After visiting Riuki Cultural Center, you cannot fail to see the potential of a fully fledged cultural institute in the small village of Karia village. It is Dr. Kinuthia Njoroge’s worthwhile dream that is on the way of becoming a reality.